One of the most expensive condos to ever go on the market not only in Vancouver, but all of Canada. This Vancouver penthouse is located atop the Fairmont Pacific Rim and recently hit the market for $29,998,000 CAD and it’s listed by Malcolm Hasman of Angell Hasman & Associates. 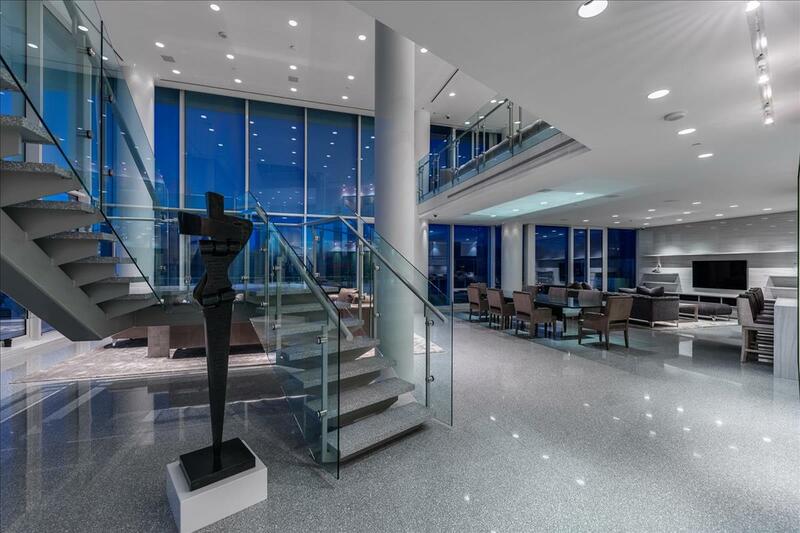 Penthouse two is a two-level modern masterpiece with just over 6,600 square feet of luxury living space. Without a doubt, this penthouse offers the best views the city has to offer with the North Shore Mountains straight ahead, and Stanley Park to your left. This Fairmont Pacific Rim penthouse comes with four spacious bedrooms and four and a half bath. You’re located close to all the great attractions in Vancouver and knowing that the Fairmont amenities are are your doorstep really make this a world class property. Give Malcolm a call directly at 604-290-1679 if you’re interested in this penthouse or would like to schedule a tour.